Trader Joe's had a bag of carrots that were called Organic Carrots of Many Colors. They were purple, yellow, and orange. I have already used the purple ones but used the other colors today. This side dish will go with almost anything, colorful and the kids love them! 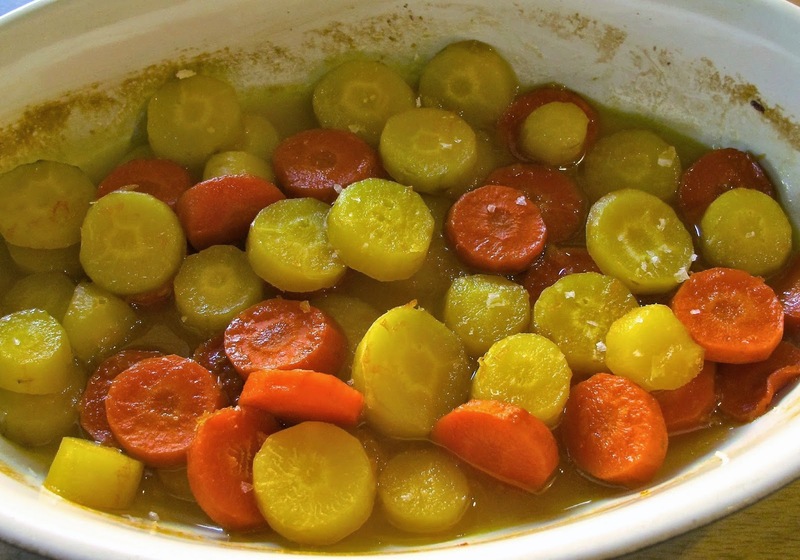 In a baking dish, mix the carrots, olive oil and salt together and put in the to roast about 20 minutes. Combine the orange juice, zest, and honey; mixing well and pour over the carrots. Cover the dish with foil and place back in the oven for about 25 minutes or until carrots are tender.